So it's been pretty crazy in my house this past month! So much going on and so little time to fit everything in. It's like I am bobbing up and down out of water trying to breathe... But thank goodness, I think I may have just gotten through and I am clambering to shore! If you have been keeping up across the platforms you know I have been celebrating my son's birthday through cake and sugar for what seems like a month! 3 Different days of celebrations for one child! Now I have to be clear here "I do not normally do this!" It's just been one of those family life balancing acts where I have had to get more creative than usual! Yes that's right! I made 3 lots of cakes and toppers for three separate days! 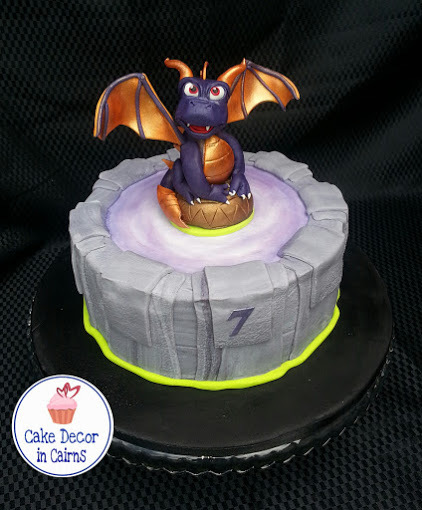 Focussing on my Spyro inspired cake today, this little fellow just kind of grew and it was actually never my intention to create such a fantastic looking cake! Awesome fluke right?!! "Hey this is your talent and any parent would use their talent at some point of their child's life, so be proud and keep on creating!" Isn't she fantastic? Just when I was feeling some kind of strange mummy insecurity, she snapped me out of it! She's so right, we all have different strengths and abilities, one of mine happens to be picking up this cake decorating hobby quicker than some, no different to others having athletic, scientific, or vocal talents. I am very blessed to have such encouraging and motivating friends. So it is no wonder with so much motivation around me that my cakes are really starting to reach a higher bar than 12 months ago. Now, it's at this point I have to say, this is why I love sharing what I do with you. I hope that when you are reading and following along with my experiments, my mistakes and my growth; that I am also encouraging you to give it a go. To keep experimenting, keep learning through trial and error and ultimately creating something with love that you are proud of. 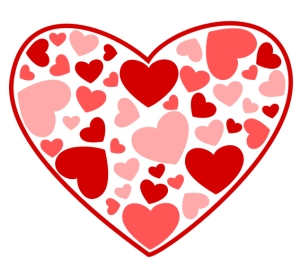 Okay that's enough of the mushy stuff!! Let's get back to cake and sugar talk! 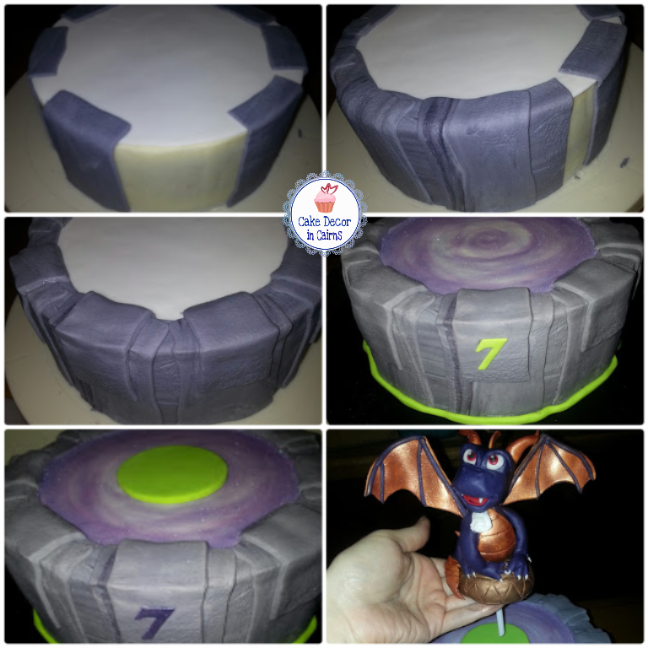 Today I have put together a little photo gallery for you, however please forgive me , I don't have all my step by step photos of how I made Spyro and the Portal Cake, but I am always happy to answer any specific questions via comments. 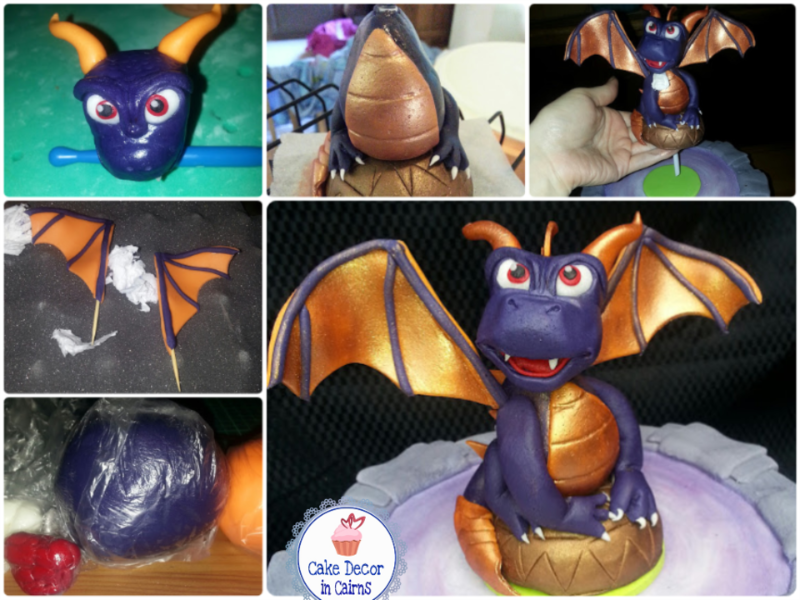 Spyro was completely made out of fondant treated with CMC, with the exception of the centre straw and toothpicks in the wings. One beautifully baked Cake, levelled and ready to ganache. I didn't have a Styrofoam Hemisphere handy so I made a fondant one using a pinch bowl as the mould. Once set I covered in a thin layer of fondant and embossed with a mini triangle cutter. The wings were made first but attached last to ensure they were dry. I used foam and tissues to support the shape while drying.When placing the head I left tissue under his chin, again to support while drying. The top right corner is a white fondant disc, cut to the size of the cake. For the gold and bronze, I used branded branded Lustre dusts. I just dry brushed them on with a soft paint brush (a bit like applying eye-shadow.) 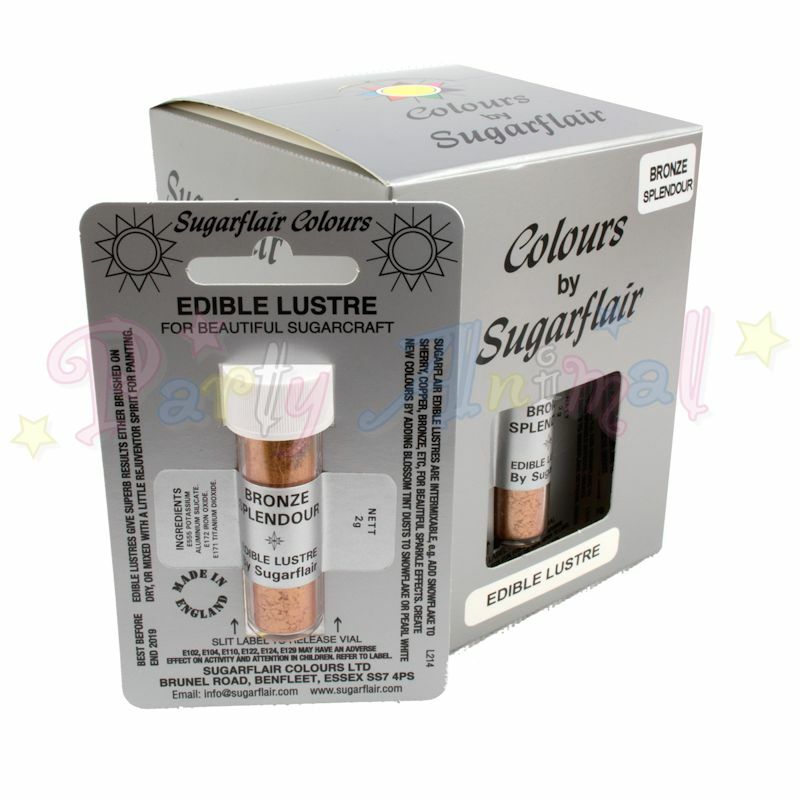 I have found this brand to be my favourite true edible lustre, it blends perfectly both as a dry dust and as a liquid paint when mixed with decorators alcohol. 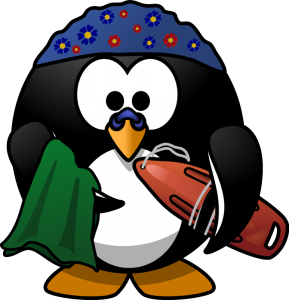 Australian stockists are quite expensive so I buy them in bulk online via Party Animal Online's ebay store. It usually takes 2 weeks for them to arrive from the UK. And the full finished cake?